This is a very nice rendition of this popular family plane from the 50’s. 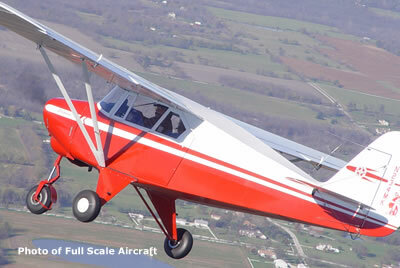 Scale fidelity is good to excellent and shows working flaps as well as details for conversion to a PA-20 Pacer. Construction is balsa and ply and the plans show a Enya 45 II engine.